Whatever the outcome of Game 6 of the NBA Finals Thursday between the Golden State Warriors and the Cleveland Cavaliers, it was Craig Sager who was the star of the night. The veteran Turner sideline reporter joined ESPN's NBA Finals broadcast team for the highly-antipated game at Cleveland's Quicken Loans Arena airing on ABC, marking the first time he had ever covered the championship series. 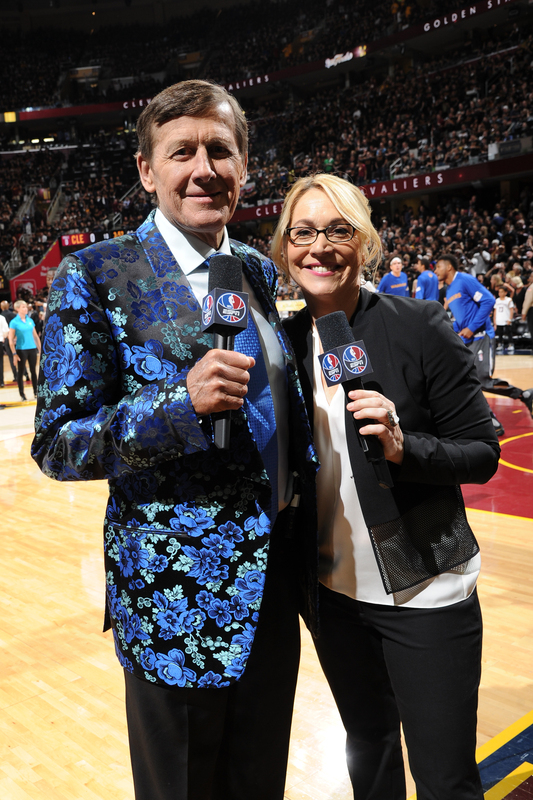 Sager shared courtside reporting duties with Doris Burke (pictured with him above), but of course it was his famous sense of style that won over fans as the 64-year-old wore a very bright blue floral jacket for the special occasion. The colorful sportscaster said he had run out of original things in his closet and went shopping specifically for something that fit the magnitude of an NBA Finals game, according to SBNation, adding that the opportunity to work his first NBA Finals game "means a lot." The rest of the ABC/ESPN broadcast team Thursday night included play-by-play commentator Mike Breen and analysts Jeff Van Gundy and Mark Jackson. "I've been watching the series very closely and, while I do not want to distract in any way from the event itself, I look forward to being in the building for what will be an incredibly exciting Game 6," Sager said Wednesday when it was announce that he would be joining the ESPN team. "The NBA community is a very special one and this is a great honor." 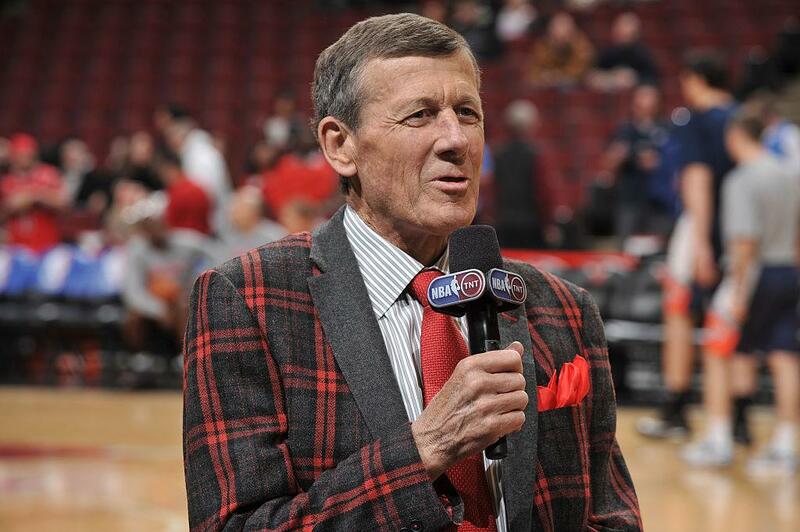 The network talent crossover came about as Sager continues his ongoing battle with leukemia. He said in March that he is no longer in remission and that "uncharted waters" lie ahead of him. "I've already had two stem-cell transplants. Very rarely does somebody have a third," Sager said in an interview with HBO's "Real Sports." Sager, who was first diagnosed with leukemia in 2014, previously underwent bone-marrow and stem-cell transplants received from his son, according to ESPN. On July 13, ESPN will present Sager with the Jimmy V Perseverance Award at The 2016 ESPYS on ABC. Sager, who has been with Turner Sports since 1982, was diagnosed with Leukemia in 2014.